Molly Banville, left, and her mother, Jenna, at home in Eliot in 2016 after her first transplant operation. 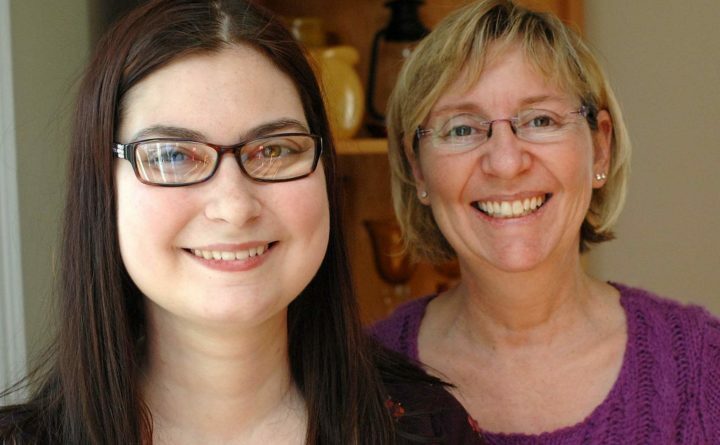 ELIOT, Maine — “We are focused on the goal,” was what Jenna Banville said last week as her daughter, Molly, 26, waits for a modified multivisceral transplant in Cleveland. Molly Banville in 2015 before undergoing an intestinal transplant. The wait has lasted more than 18 months. It will be Molly’s second transplant. The first, in November 2015, was for a small and a large intestine, but Molly’s body soon began rejecting the organs, and now she needs new small and large intestines, a stomach, a duodenum and a pancreas. The mother and daughter wait at Transplant House of Cleveland, near the Cleveland Clinic, where the transplant will take place. Molly wrote her own story on her GoFundMe page, “Molly’s New Gut,” in 2015: “At the very beginning of my fifth grade year, I became very sick. After a week in York Hospital and no one knowing what to do, I was transferred to Maine Medical Center in Portland, Maine.” She said she was diagnosed with inflammatory bowel disease, then indeterminate colitis (either Crohn’s or ulcerative colitis). “After several emergency surgeries, my surgeon realized that I had problems healing, which has caused chronic pain, nausea and kinking of what is left of my intestine,” she wrote. She was then diagnosed with Ehlers-Danlos syndrome. Ehlers-Danlos syndrome is an inherited collagen disorder. Collagen is a component of connective tissue. Molly has used her experiences in positive ways. 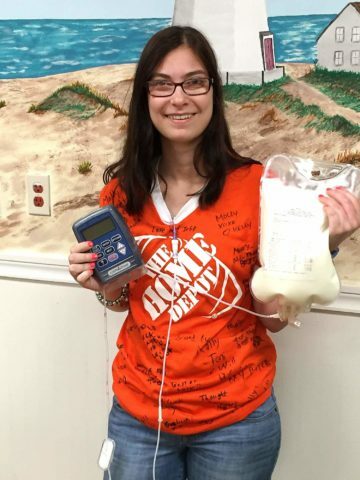 She got her certified nurse’s assistant degree while at Marshwood High School and has a degree in pre-nursing from York County Community College. Molly had the 14-hour operation Nov. 6, 2015. The transplant was performed by Dr. Kareem Abu-Elmagd and a team of four. Three days later, Molly had another operation to finalize the transplant. Where most transplants are of the small intestine, Molly received a small and a large intestine – 30 hours of surgery over three days. “As time goes on, Molly is doing a lot of resting. She is coping well given the situation,” Jenna said last week. “The longer we wait, it makes sense the body gets more tired,” Jenna said. “She is very, very brave and courageous. It makes it easy to be her mom,” Jenna said. Jenna said Molly is so sick the medical team does not want Jenna working, although she does make jewelry for sale. She and Molly are keeping themselves as healthy and as busy as possible. They both mentor patients and caregivers, and Jenna has created a caregivers’ handbook. The cost of Molly’s first transplant was $1.2 million. Jenna said medical insurance covers much of the expense. But there are still co-pays and out-of-pocket expenses, medications and the expenses of living in Cleveland. Jenna said the family is $75,000 or more in debt. But they concentrate on the goal of better health for Molly. “I truly believe we will land on our feet,” Jenna said. Donations also can be sent to the Rotary Club of South Berwick/Eliot at Molly’s Fund, P.O. Box 11, South Berwick, Maine 03908.